It’s not really fashionable, if you actually live in Bath, to admit that you love the Christmas Market – but I do, wholeheartedly and unashamedly. I love the way it’s threaded through the old streets at the very centre of town, so all that glorious, gorgeous history adds to the festive atmosphere. 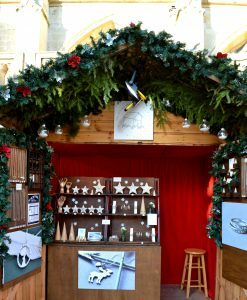 I love the wooden chalets (you call them chalets if you like the market, sheds – dismissively – if not), all beautifully decorated by their occupants, the delicious aromas floating on the air and all the wonderful buskers singing festive tunes. This year, the market is bigger than ever, and with the big crowds that it always draws it can be hard to know where to start and how to actually get any Christmas shopping done, so I present: my guide to the Bath Christmas Market, where to go, what to buy, and what to enjoy while you’re doing it. I first discovered Gemma’s beautiful jewellery at the Independent Bath Market, and I was delighted to hear that she’d be popping up at Christmas too. I love the storytelling behind her pieces, the wisps of folklore and literature entwined around rings and bangles, the life and movement in her animal pendants, and the warmth and humour behind it all. If you’re looking for an elegant trinket with a little personality to it, this is a must-visit. Choc on Choc is a staple of the Bath Christmas Market, and I always pay them a visit because their gorgeous goodies make the perfect gift for anyone who’s difficult to buy for. 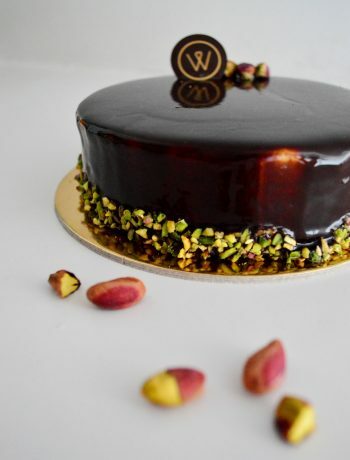 They make all kinds of incredible creations in chocolate, from cheese and biscuits to handbags and paintbrushes, but my very favourite thing to buy is their white chocolate Brussels sprouts – so much more delicious than the real thing. As you stroll down Bath St, towards the Cross Bath end you’ll be aware of a gorgeous aroma on the air from Limelight’s fabulous candles and diffusers. Far from the fussy scented candle clichés, these beauties come in chic, monochrome, minimalist packaging, and they smell good enough to eat. Another ideal gift for difficult family members, or treat yourself to one of their delicious scents for your own home. 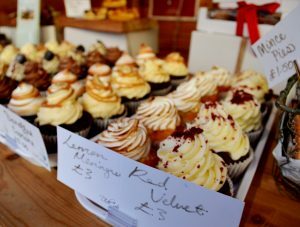 Anyone braving their Christmas shopping (even somewhere so lovely as Bath) is going to need sustenance to keep them going, and Didi Cakes have the perfect solution in the form of their mouth-watering cupcakes. So often, cupcakes prioritise style over substance, looking good but tasting disappointing – but that is most emphatically not the case here, combining light, fluffy sponge with swirls of melt-in-the-mouth icing and all sorts of fabulously inventive toppings and flavours. Their mini cupcakes are a steal at just £1, too. I was drawn to this chalet by the musical tinkling of what I thought were wind chimes, but what turned out to be beautiful hand-stamped vintage spoons, swaying in the breeze. 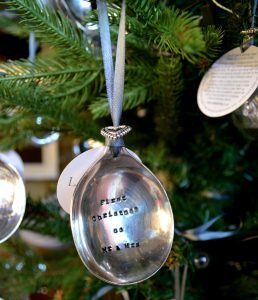 You can buy them strung on ribbons to hang from your Christmas tree, or to actually use as spoons, and they come with all sorts of lovely messages. A really unique and thoughtful gift. Christmas is a time for drinking, and there’s no better toast to raise than Bath Botanical Gin’s incredible tipples. As well as producing their signature No. 1 Gin (deliciously botanical and perfect in a G&T) and other gins in a variety of wonderful fruity flavours (brilliant for cocktails), they also sell a range of amazing elixirs to soothe and salve all kinds of ailments – like herbal tea, but more fun. As soon as I saw Success’ gorgeous handmade soft toys, I knew that little me would have been putting them on her Christmas list. 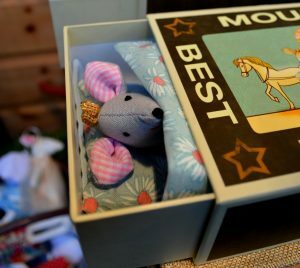 I particularly love their adorable mice, who come tucked up in trundle beds made from outsized matchboxes, and dressed in nightgowns made with pretty printed textiles. Their toys are incredibly reasonably priced, too – if you have little ones to buy for, you’ve got to visit Success. A Bath Christmas Market regular, Bollywood Christmas sell the most beautiful baubles and tree decorations, made in India and hand-decorated with rich colours and patterns. I love them so much that we chose Bollywood Christmas baubles for our wedding favours, and the ones we have for our tree always get lots of compliments. 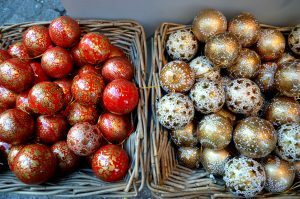 I’m a big believer in the idea that you should buy yourself a Christmas present too, and these decorations would make a lovely souvenir of the market. 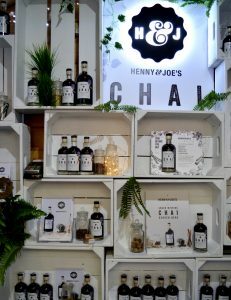 Another refreshment stop: Henny & Joe’s chai syrup is a little bit legendary in Bath, and justifiably so because it’s absolutely delicious. 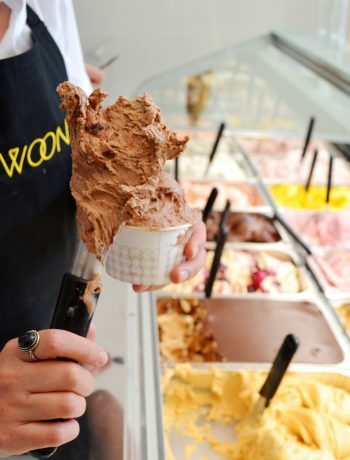 It’s also nothing like dried ‘chai tea’ mixes that you might have tried before – made with an armful of wintry spices, the syrup is perfect added to warm frothy milk for a chai latte (visit their chalet for a sample), but I can personally testify that it makes a fantastic cocktail with prosecco as well. A great gift for foodies who like to discover new things, or for coffee-drinkers – gift with some excellent coffee beans to make dirty chai lattes at home. 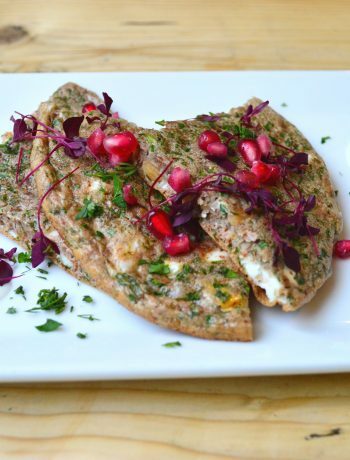 Finally, one more stop that we make every year at the Christmas Market – because who can have Christmas without cheese? Snowdonia produces a range of gorgeous cheeses (I particularly love their smoked cheddar, for making macaroni cheese, and their cheddar with pickled onions, for nibbling) and at the market they sell cute little wax truckles that are perfect for presents. 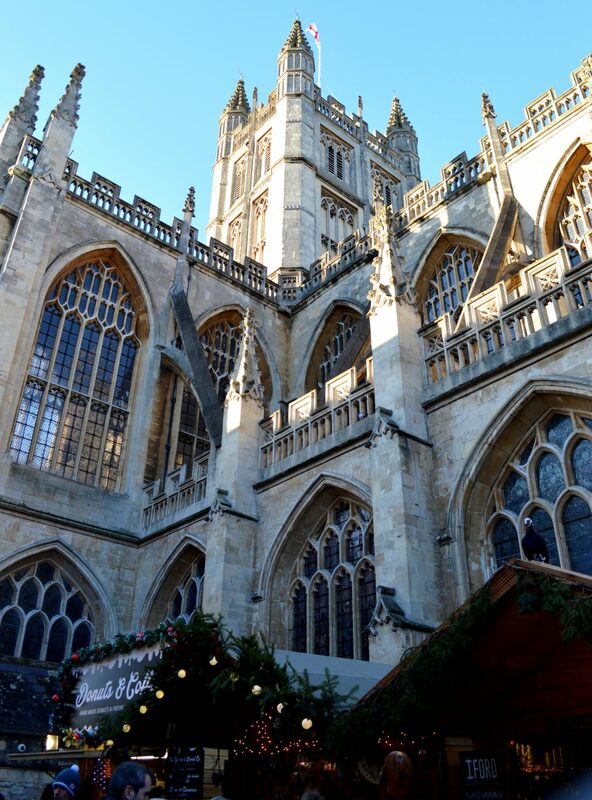 Are you visiting the Bath Christmas Market this year? What’s on your hit list? Leave me a comment and let me know!